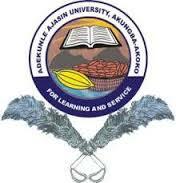 Adekunle Ajasin University, Akungba-Akoko [AAUA] School Fees Schedule for Freshers and Returning Students for 2018/2019 Academic Session Out. This is to inform all students of the Adekunle Ajasin University, Akungba-Akoko [AAUA] that the school fees schedule for the 2018/2019 academic session has been released. All candidates are to log in to eportal.aaua.edu.ng to view the updated school fees schedule for their respective courses.